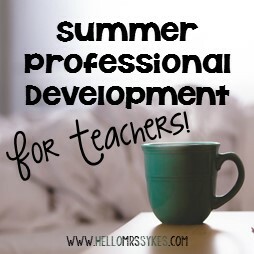 An effective teacher is always learning, even over the summer break. While you are on vacation, why not catch up on your professional readings? Here are a few suggestions. What did I miss? Be sure to share your ideas in the comments so we can all stay current on best practices in literacy! 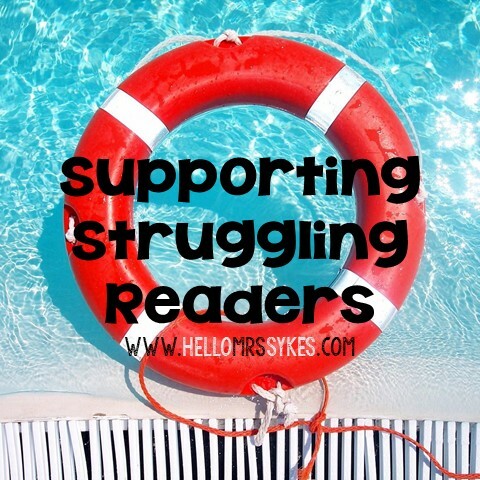 I wrote this series to address the unique concerns of folks who work with Upper Elementary students who need additional support in reading. In this series, I walk you through assessing and analyzing the data for that student, and give you a plan for your work together. 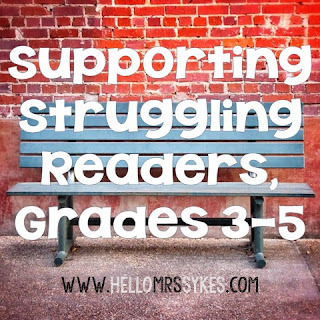 Click here to begin Supporting Struggling Readers in grades 3-5. The Work on Words Wednesday series is here to empower the Upper Elementary teacher! This series includes posts on Word Games, Cheap Manipulatives, Interesting Words, Greek and Latin Roots, and Working in Small Groups. All of these are topics I have shared with teachers over the years as a Literacy Specialist and as a Literacy Coach. You will find lots of ideas to re-energize your Word Work! Work on Words - All About Word Games! There are so many fabulous professional texts available that it is difficult to select just a few. Here are some of my recommendations. I am using Amazon affiliate links, so if you choose to buy anything through this link, you will directly support my endeavors with this website. Thank you. What did I forget? Leave your opinion in the comments below! Thanks, and have a wonderful rest of the summer. Easy Gifts for Your Students - Give Books!